It’s that time of year again where all horse aficionado’s gather together in the stunning Bridgehampton for the Hampton Classic Horse Show. As one of the largest outdoor horse shows in the United States, and a premier destination for horse people, the Classic is a much anticipated stop on the summer tour, which will run from August 28 through Sunday, September 4. In 2009, the Hampton Classic became only the second horse show ever to receive the status of Heritage Competition by the United States Equestrian Federation, and now this prestigious status has lived on for 25 years, providing a dignified outlook on communities and horse communities as a whole in a remarkable fashion. Every year, the Hampton Classic draw in guests and competitors to the charming green pastures of the 65-acre showground to witness talented riders of all ages compete against each other for the title. The Hampton Classic plays host to the year-end finals of the very popular Young Jumper Championships, where 5,6 and 7 and 8 year-old horses compete in their respective divisions after qualifying in a year-long, very competitive points race for the top prize of the season. 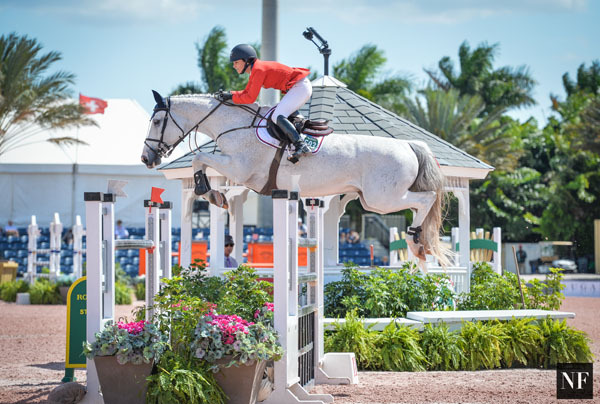 The Classic draws some of the top jumper riders from around the world, coming to compete for some of the richest prize money offered in the country. Opening Sunday, on the beautiful grass of the Grand Prix Ring, is where guests will find some of the tensest competition all week—the infamous Hampton Classic Lead line. Dozens upon dozens of ponies parade their riders, judged by Olympic gold medalist Joe Fargis, while nervous parent sit reluctantly in their V.I.P. tents. General Admission on Monday is free, and the only competition featured that day is the Long Island Show Series for Riders with Disabilities. General admission is $10 per person (under 6 free) or $20 by the carload every other day and Tuesday and Thursday is free for seniors, while Saturday is kids attend free day. Reserved seats for Grand Prix Sunday is $35 per person for bucket seating in sections A and E or $45 per person for bucket seating in sections B, C and D.